Createspace Independent Publishing Platform, 9781537704883, 338pp. New York City becomes ground zero for a bioterrorism attack when a weaponized strain of avian influenza is released into the city subway. The result is devastating-a deadly pandemic that threatens to tank the US economy. Evidence leads FBI agents Georgiana Reed and Mark Strickland to a government research lab and a beautiful scientist, Dr. Suzy Chen. She had access. She had motive. And she had a secret connection to a group known only as the Organization and its sinister Director, who were operating to bring down the US economy. When Chen's love affair with a high-ranking military officer puts the Organization at risk, she is assassinated. As Reed and Strickland draw closer to discovering the Director's identity, they struggle to hide the love affair they began in Dead Love. Now is not the time for emotional entanglements, but passion has a way of sabotaging duty. Chen's grieving lover, Colonel Maxwell Graham, joins forces with Agents Reed and Strickland to hunt down the mysterious Director. Can they stop the Organization's twisted plot to destroy the United States? The government tries desperately to stem the chaos of the deadly pandemic. But is it too late? A former flight attendant for a major airline, Linda Wells grew up in the southern United States and attended the University of South Florida. 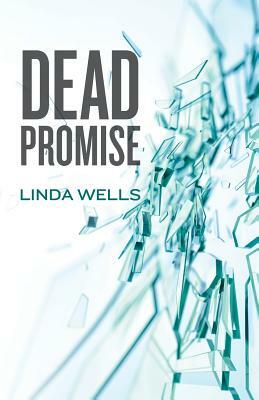 Her new novel, Dead Promise, picks up shortly after the events of Dead Love, continuing the adventures of Colonel Maxwell Graham and FBI agents Georgiana Reed and Mark Strickland. Wells, who lives in the Midwest, is currently working on her third novel.